Valero Renewables is marking its 10-year anniversary celebration at its ethanol operations across the Midwest, including the plant in Bloomingburg. 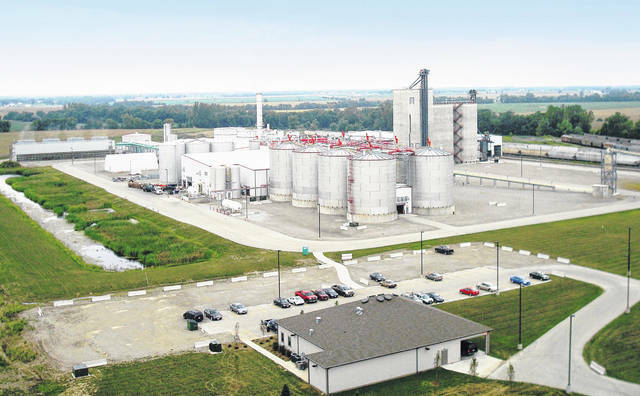 Valero Energy Corporation, through its Valero Renewable Fuels Company LLC subsidiary, became the first traditional petroleum refiner to enter large-scale ethanol production with the purchase of seven high-quality plants from VeraSun Energy Corp. in 2009. Today, Valero Renewables operates 14 ethanol plants across eight states with total capacity of 1.73 billion gallons per year, making it one of the nation’s largest producers. At Valero Renewables-Bloomingburg, the plant will be holding several events in the early spring to celebrate this milestone. – The largest plants can process up to 49 million bushels of corn into as much as 140 million gallons of ethanol, and up to 368,000 tons of distillers feed grains, each year. – Valero has been able to transfer operational best practices of its refineries to its ethanol plants, which produce ethanol and distillers grains for both domestic and export markets, accounting for more than 20 percent of total U.S. ethanol exports. – Employees across all Valero Renewables locations pledged or raised a total of more than $429,000 for United Way in 2018, with a company match projected to bring total plant contributions to approximately $641,000. – Participating plants each distributed $35,000 in proceeds from the Valero Texas Open and Benefit for Children to local children’s charities in 2018. – Plant employees and their families across all locations logged approximately 22,000 hours for a variety of volunteer events in 2018, benefiting such efforts as Habitat for Humanity, Big Brothers Big Sisters, Boys and Girls Club, and community food drives.